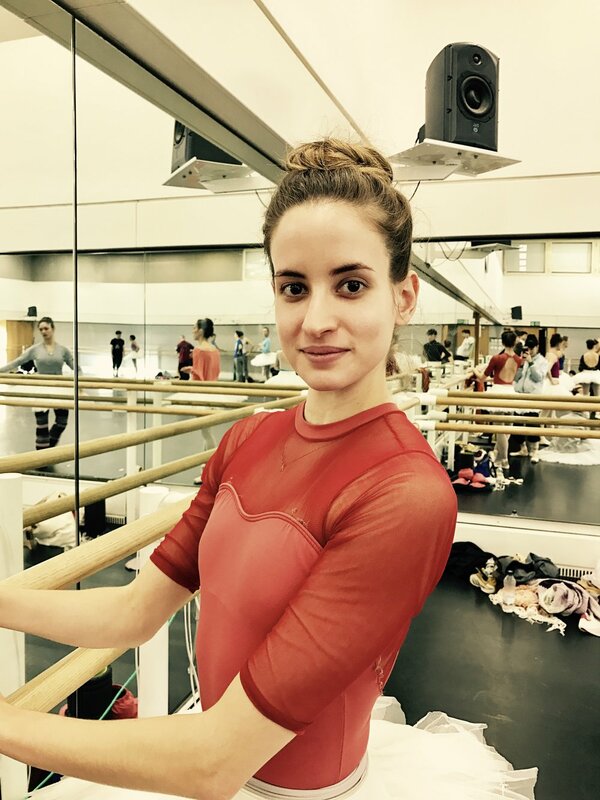 Auditioning for a job is incredibly stressful, it's one of the most important moments in your career as a dancer and presenting yourself properly is crucial. As I know that it's that time of the year when auditions are advertised I have listed the 5 most important things to consider for your audition bag. If this is your first audition then don't dress like a student! What you'll often hear is "I need somebody with a bit more experience". Give the impression of experience by getting out of that uniform. In a Classic look but the lacy top makes her style personal. No matter how good you are, if you're in a room full of people all competing for the same job then you need to stand out. Give the director the opportunity to say "the girl in the turquoise leotard". They don't know your name - give them something to focus on. Solomon would be called 'the guy in the green shorts'! Look presentable. Keep hair tidy and for the ladies keep make up simple. Lettie- Hair tied back loosely to show her beautiful face. Don't hide behind loose clothing or garb. It actually does the opposite and draws attention to want you want to hide, like feet for an example! Me- How not to dress- leg warmers, a top around my waist. The look is messy. Wear your favourite outfit because that means comfort and confidence. I feel very confident in a long sleeved leotard. I don't know why but I do! Never do the exercise unless you're sure of it. Go in the second group! When I auditioned, before receiving my contract at The Royal Ballet I wore this outfit for every audition I went to, from Hong Kong to Boston. It was a cap-sleeved chocolate brown unitard. Unusual and exposing, I knew there wouldn't be many others wearing something similar. I didn't wear anything else, no leg warmers, no skirt and no tracksuit top. Of course I was nervous but I knew it would make me stand out and seem confident, even if I wasn't. My friends still mention the days I traveled around Europe to auditions with the brown unitard and detergent, it worked - I got the job and still have the unitard for nostalgia purposes!